Soap is supposed to cleanse and soothe skin, but what’s available in stores often just dries and irritates. With The Natural Soap Chef anyone can quickly learn how to make all-natural soaps that gently wash even the most sensitive skin. Not only are these soaps good for the body, they beautifully dress up any home with their delicious scents and colors. This book will show you the way your great-grandma made soap, by using the cold process method utilizing the basic components of soap: lye and oil. With easy-to-follow instructions and photos that guarantee success, you’ll be a soap-making expert in no time! Heidi Corley Barto is a self-taught soapmaker and graduate of The School of Visual Arts in NYC. Unable to find soap that did not irritate her youngest daughter’s skin, she started creating her own; Penelope B. Soap was born. When not making soap, she is the Assistant to the Director at her local library where she helps the public find books to read, helps the tech un-savvy navigate the web, sees books on awesome hobbies she wants to try and basically troubleshoots all day long. 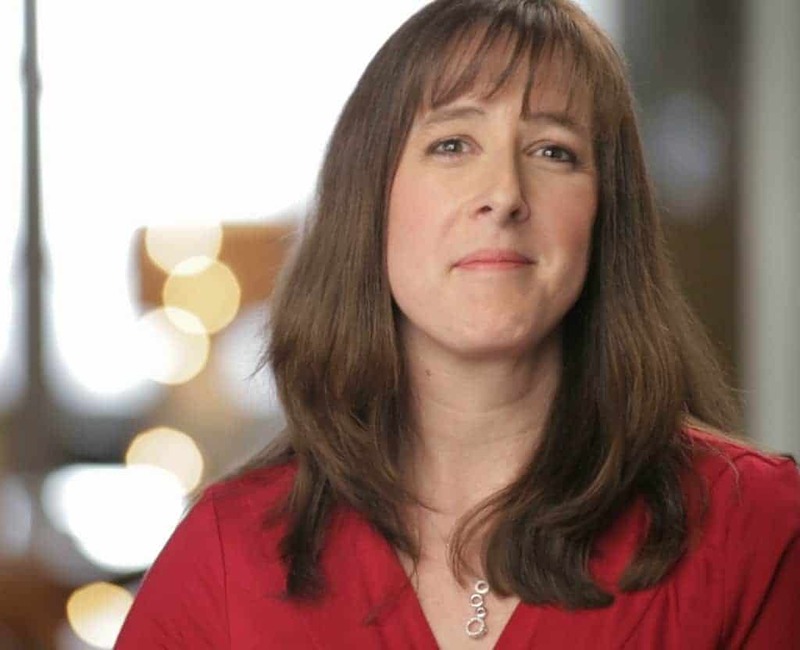 She lives in Wingdale, NY with her husband Rick, daughters Gillian and Paige, and their goofy Vizsla, Penelope. I have always wanted to make my own soap from scratch but have always been a bit intimidated by the entire process. I continue to read up on the process and techniques and have started sourcing some of the ingredients so I can give it a try. 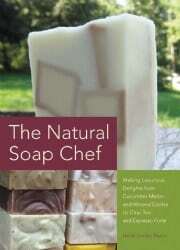 I was drawn to The Natural Soap Chef because of the food tie in that many of these recipes have. I am a huge foodie and love combining new flavors and seasonings in the kitchen so the idea of incorporating the same concepts into soap making sounded intriguing. The first couple of chapters of this book are dedicated to newbies like myself who have no idea what we are doing. There is a discussion of the ingredients, necessary materials, and ‘extras’ you can add to your recipe. There is a chapter dedicated to explaining the soap making process and step by step directions in detail. This includes many pictures, which I always find helpful. Most of the recipes make approximately 8 three ounce bars per batch which seams like a fair amount. After the author has given you all the information you need, she ventures into the recipes. I really like that she starts this section with ‘beginner recipes’. The first one is a simple olive oil soap that contains only olive oil, lye and water. Not all the beginner recipes are that simple…some still seem a little intimidating to me. I think I would like to see a few more recipes that only have one or two oils….that makes the process seem less intimidating for me somehow. The recipe selection is amazing…there are recipes using beer, goats milk, coffee, honey and many other unique combinations. Chai Tea soap and Almond Cookie soap sound absolutely mouth watering and I can just imagine how they would smell in the shower. If I could change one thing about the book I would like to see recipes that use natural essential oils instead of fragrance oils. If I am going to go through all the work of making homemade soaps with natural ingredients I would like to skip the fragrance oils and use natural essential oils if possible. If you are a novice soap maker I think this book is a great resource. You will learn what the ingredients are, how the soap making process works, and the recipes and directions are easy to follow. I am looking forward to trying some of these recipes and hope they come out looking as appealing as the do in the author’s pictures! Disclaimer: In accordance with the Federal Trade Commission’s 16 CFR, Part 255: “Guides Concerning the Use of Endorsements and Testimonials.”: I received one copy of this book in exchange for my honest review. I received no monetary compensation. All opinions expressed here are mine and mine alone. Some of the links in this post may be “affiliate links.” This means if you click on the link and purchase the item, I will receive an affiliate commission. Regardless, I only recommend products or services I use personally and believe will add value to my readers. I've always wanted to give this a try. Thanks for sharing this resource.